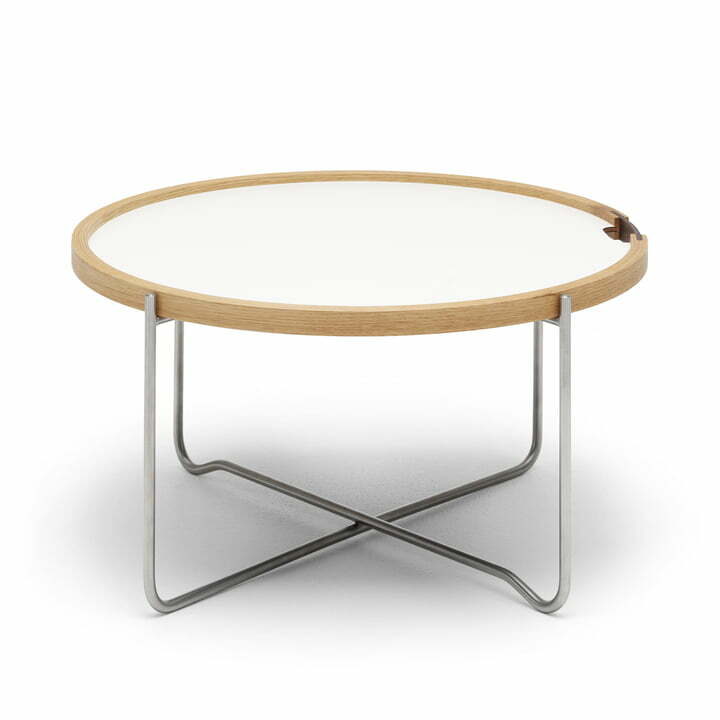 The CH417 Tray Table by Carl Hansen was designed by Hans J. Wegner in 1970. The CH417 Tray Table is part of a whole furniture series of armchairs and sofas, in which Wegner used bases with bent tubular steel. As a re-edition, now the design from the 70s comes new to life. 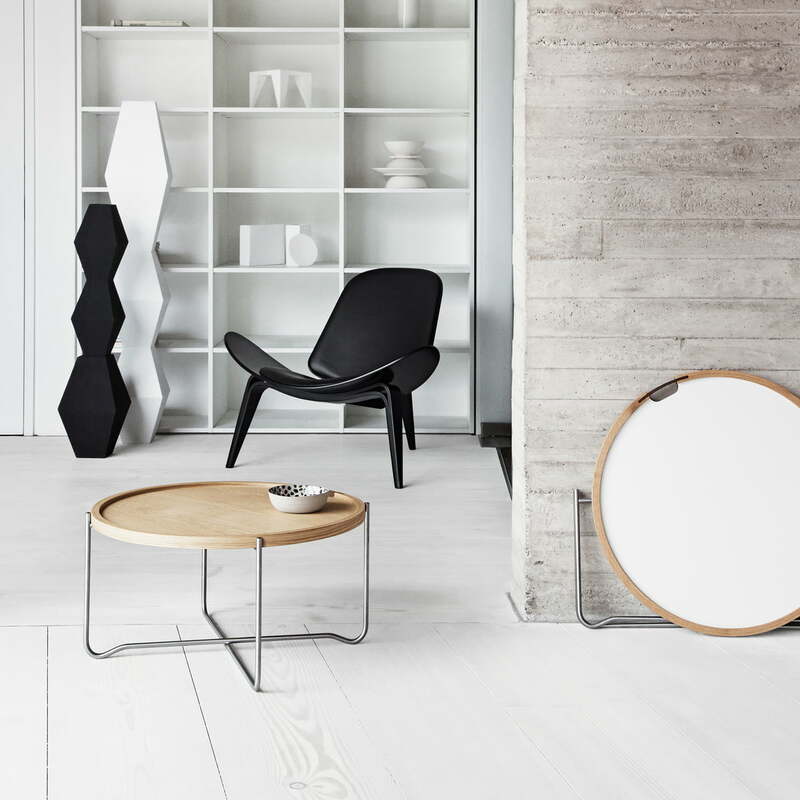 In origin, this table was only available in the laminated version with black and white sides. As new product on the occasion of the re-edition, the tray is available as oak and smoked oak veneer version. The CH417 table delights with a foldable frame and a versatile look. 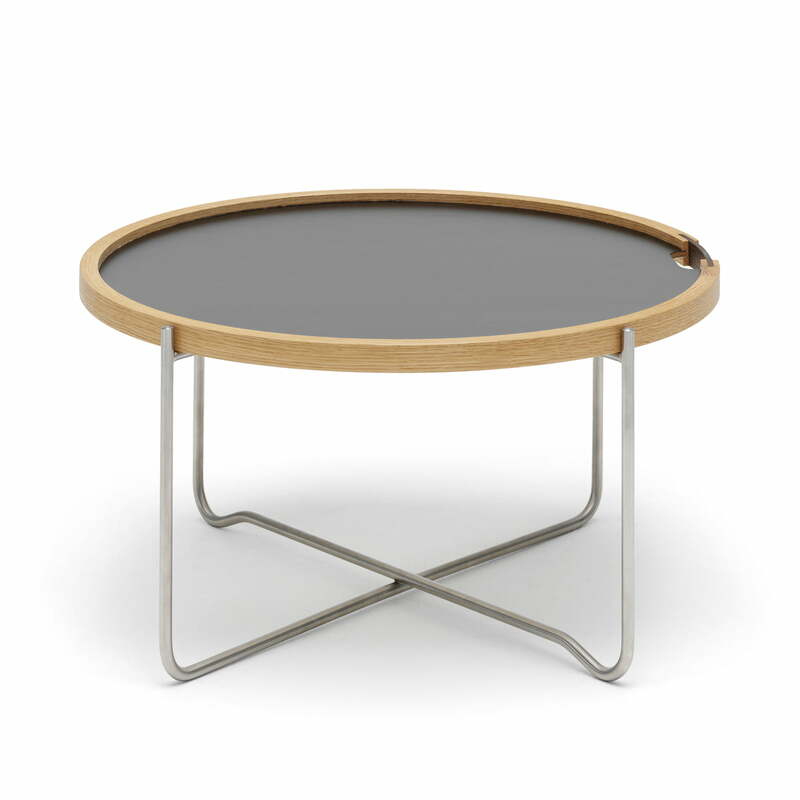 Because: the removable table top - which can be used as a tray thanks to its handles - comes with two different surfaces. You can either display the laminated side in black and white or the smoked oak/oak look side of the tabletop. It can turned as you like and create a new look of the table within seconds. With its tray table top and the foldable frame, Wegner created a simple and flexible solution that at the same time exudes ease and elegance. Thanks to the handles, the removable, double-sided usable tray is ideal for serving light refreshments and snacks. And in combination with the base rack, the tray is a decorative and practical side table again. 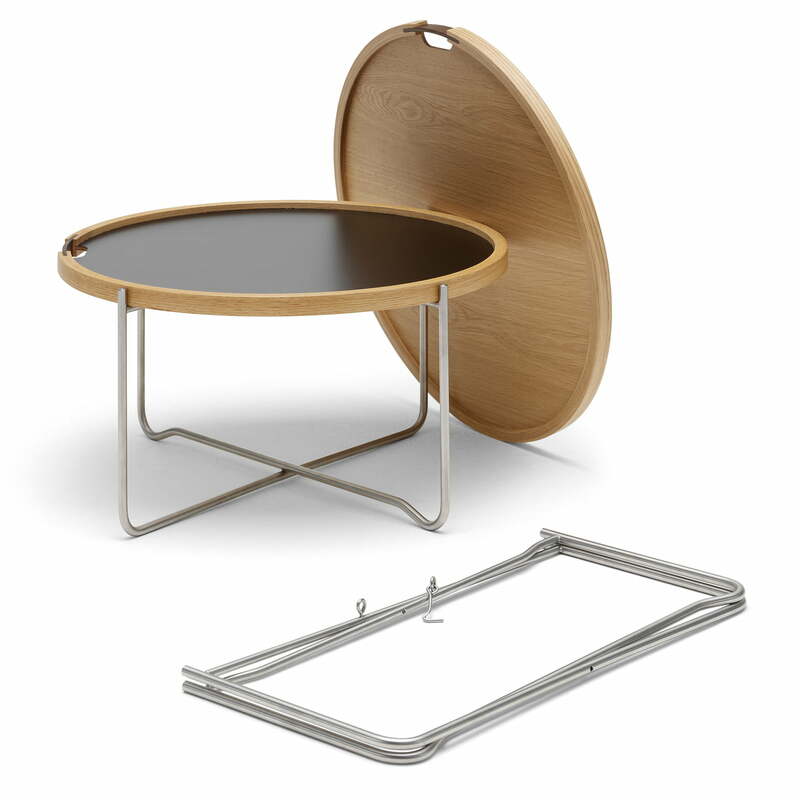 Individual image of the tray table by Carl Hansen after the original design by Hans J. Wegner from 1970 with handy, laminated turning table top in black and white. 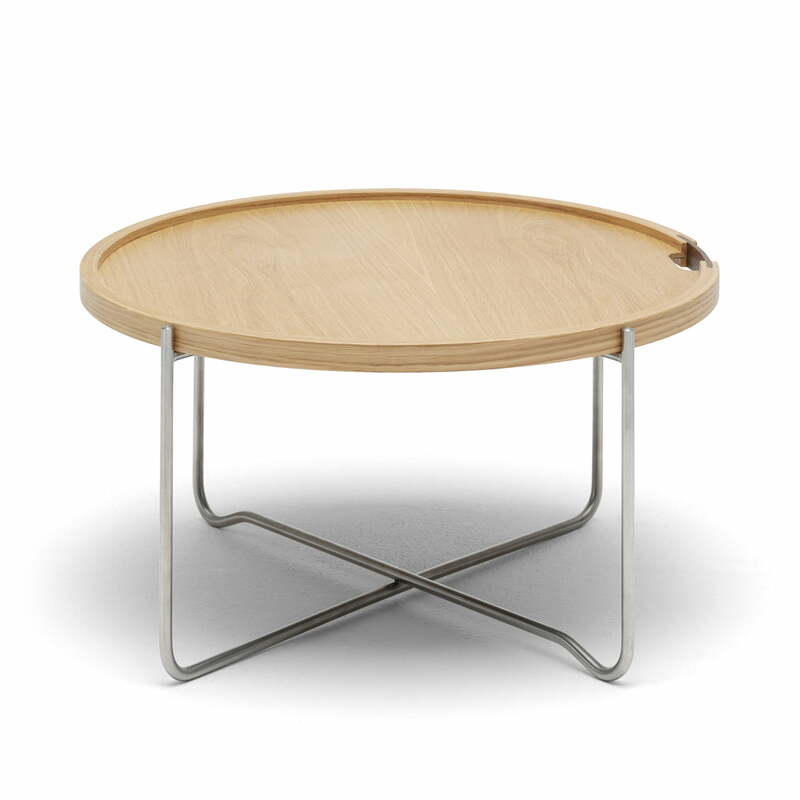 Individual image of the tray table by the Danish manufacturer Carl Hansen with the table surface made from oak veneer and a practical handle in smoked oak look. 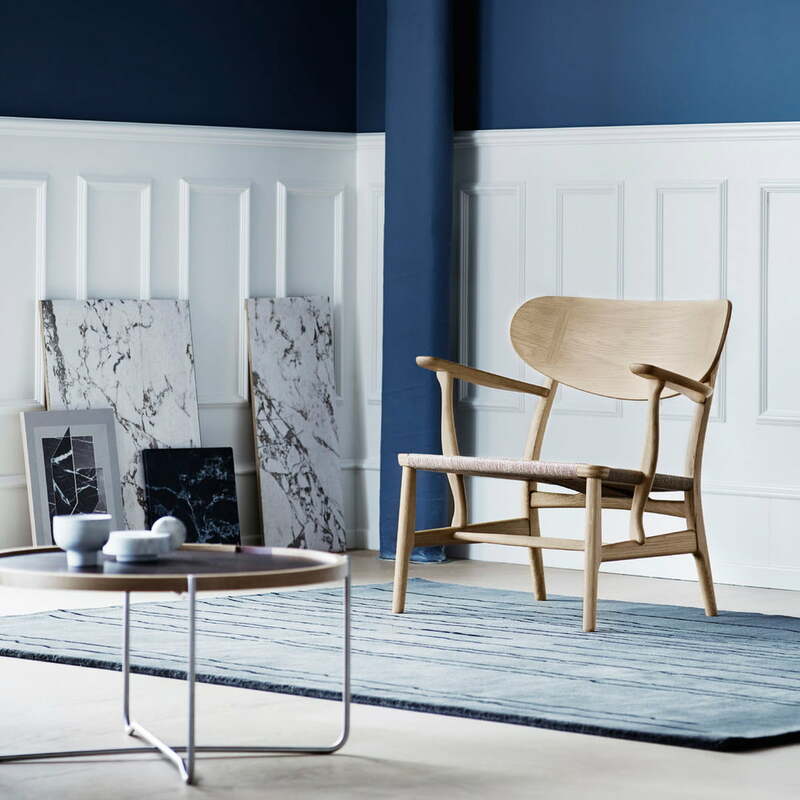 All components of the CH417 tray table by Carl Hansen can be taken apart and fold up without any problems. This way, the table is space-saving and flexible. 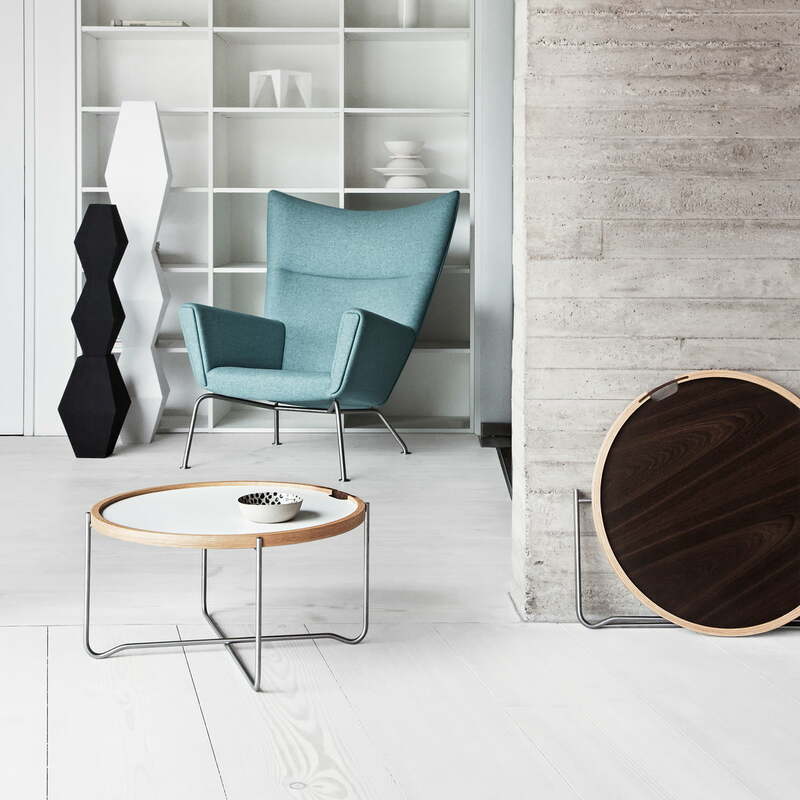 The tray-table consists of 2 parts - a round tray and a foldable frame, Wegner hereby created a simple, flexible solution that at the same time exudes ease and elegance. Thanks to the handles, the removable, double-sided usable tray of the CH417 Tray Table by Carl Hansen is ideal for serving light refreshments and snacks. The CH417 tray table is part of a whole furniture series of armchairs and sofas, in which the designer Hans J. Wegner used bases with bent tubular steel.